Linus Coraggio’s 2B hosted parties, exhibitions, and art flea markets. 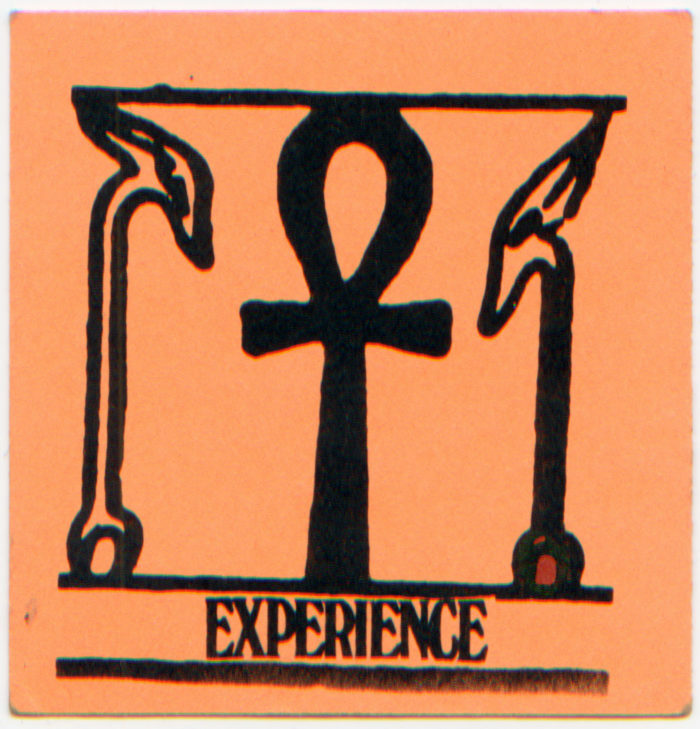 Three offset announcement cards for events at 2B. 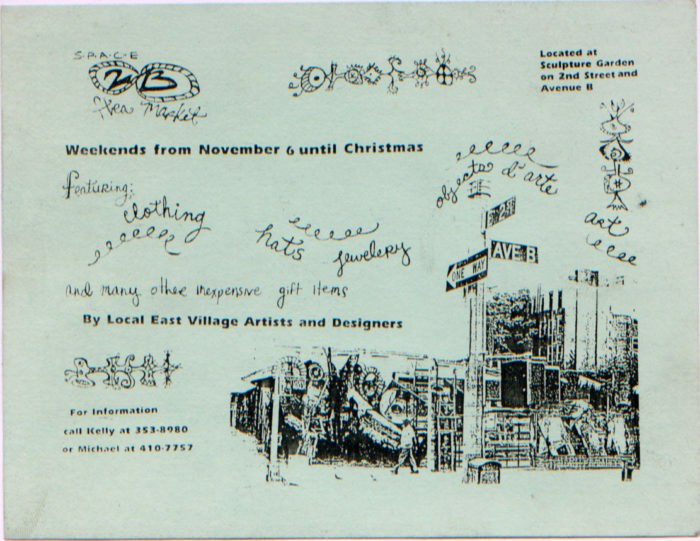 Space 2B flea market, year unknown, 5 ½” x 4 ¼”. 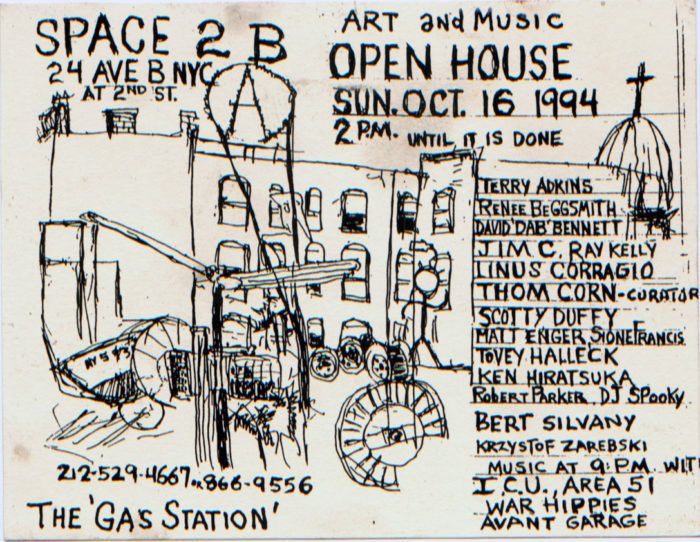 2B “Art and Music Open House,” October 16, 1994, 5 ½” x 4 ¼”. 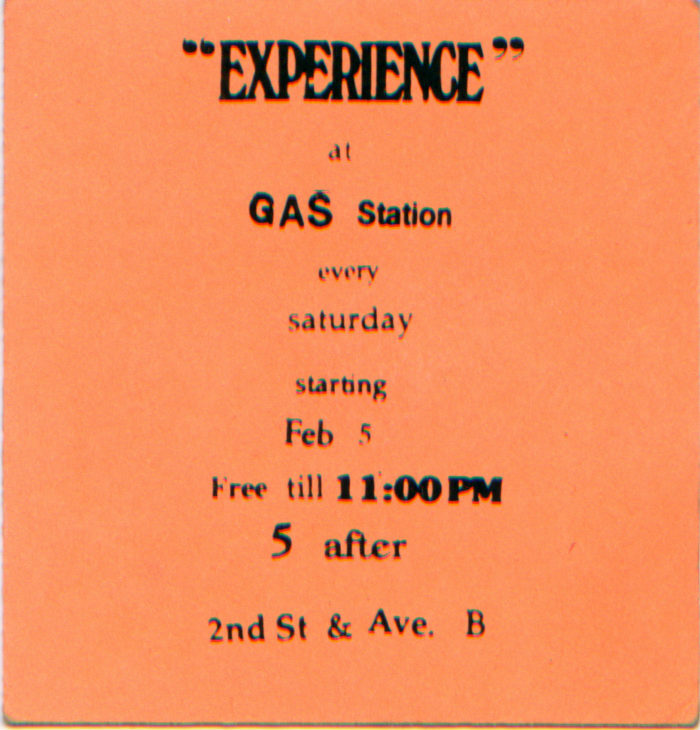 “Experience,” Saturday nights, 1994, 2 ” x 2 ¼”.